Article Excerpt: "... Ivanka Trump’s signature perfume is a best seller on retail giant Amazon. 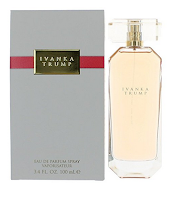 Ivanka Trump Eau de Parfum Spray For Women ($34 for a 3.4-ounce bottle) was No. 1 on Amazon’s list of bestselling fragrances and perfume for at least the third consecutive day ..."